Creating lasting and meaningful original jewelry that can be handed down through generations honoring family, friendship and nature’s beauty brings me great joy. From childhood, jewelry has always connected me to family. 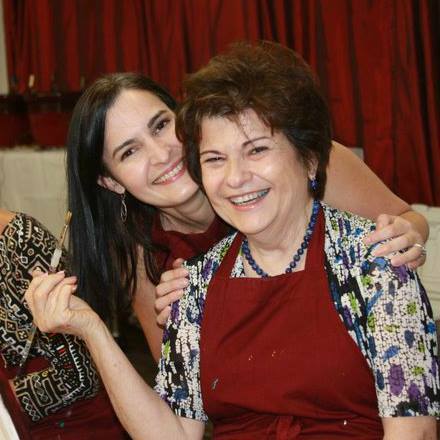 When my parents fled Cuba, they left with the clothes on their back and a few pieces of jewelry that have become treasured heirlooms as they’ve passed from generation to generation. Special moments in my life have been commemorated with gifts of jewelry, and I’ve cherished my mother’s stories of the history of each piece. Connection, history and meaning traveled the generations in the lives of these treasures. I spent my childhood exploring the arts of every kind: drawing, painting, pottery, photography, dancing, singing and acting. My parents and siblings shared this deep love of the arts and we connected and bonded via our mutual affinity for the aesthetic life. I chose the performing arts as a career and it took me all over the world. I met amazing people, and I loved going to work every night and seeing the joy and tears of audiences as they were moved by the stories unfolding on stage. To quote one of my favorite jobs, “I Dreamed a Dream” and it came true! 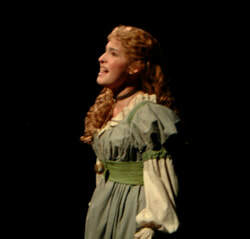 Ana as Fantine in Les Miserables at Broadway's Imperial Theater. Today, I work close to family in my Baton Rouge studio. My wedding rings are the rings my Grandfather gave my Grandmother on their wedding day. I use my Grandfather’s dental tools to carve and cut my metal clay pieces and my parents are daily visitors and provide amazing support. If you see me at an art show or festival, my Dad is by my side. My Mom loves to travel with me to gem & mineral shows and still inspires many of the pieces I make today. My studio is surrounded by natural beauty. My parents are avid gardeners and their gardens are a playground for my work. I see beauty in the tiny details of the natural world and capture them with natural gemstones and metal clays of silver, bronze, gold and copper. Nothing brings me more joy than providing original jewelry to commemorate special moments and occasions for my clients. From birthdays and anniversaries to mothers and fathers, newborn babies and remembrances of departed loved ones, ballerinas, graduates, proms and Mardi Gras, special friends, siblings, grandparents and grandchildren, First Communion or Christening to the bridesmaids and flower girls on a wedding day, I have been blessed to create original pieces that connect and honor the generations. My wish is that you may share in the joy I experience while creating my pieces; that you will feel a connection to family and friends as my creations begin their historic journey. 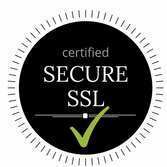 I promise great customer service, attention to detail and a true desire to make you feel beautiful and connected to the energy and flow of the natural world. Thank you for allowing me to continue living the wonderful life of an artist. I hope you find your natural beauty in Jewel of Havana! Beauty & the Beast -Backstage at the Lunt-Fontanne Theater. I discovered my passion for creating jewelry while appearing in the Broadway Company of Beauty and the Beast. I had several breaks during the show and loved to run back to my dressing room and come up with new design ideas. Most of my pieces were made right in the dressing room. I was commissioned to create jewelry for several Broadway opening nights and the Tony Awards and my "accidental” business grew from there. I had no formal training in jewelry design or construction when I started. My knowledge of the art was gathered from extensive reading and experimentation and hours spent in the gemstone warehouses and beading shops in the Fashion District of New York City. Since my husband’s career transfer back to my hometown of Baton Rouge, I sought formal training to pursue a new career as a jewelry artist. I studied traditional silversmithing but it was metal clay that stole my heart. The possibilities are endless and I am hooked! I am a Precious Metal Clay Certified artist and combine these skills with traditional metalsmithing, wirework and beading techniques to create my nature inspired jewelry. 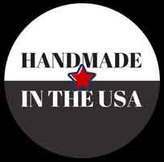 I'm a juried member of the Louisiana Craft Guild and L'Esprit du Metal, the Louisiana Chapter of the PMC Guild. I was awarded the 2010 Merit Award and Purchase Award and the 2012 Award of Distinction at FestForAll Fine Art Festival as well as Best In Show for Art Melt 2011 and Best in Jewelry for The Big Easel 2017. I hold a BFA from the Cincinnati Conservatory of Music and am a veteran of numerous Broadway shows including Les Miserables, Beauty & the Beast, South Pacific, Marie Christine, By Jeeves and Evita to name a few. I am now a full time jewelry artist living in Baton Rouge, Louisiana with husband, Philip J. Mann and our 4 ½ pound fluffy daughter, Sidney, the teacup Maltese! Originally from Havana, Cuba, she was the inspiration for my first pieces. 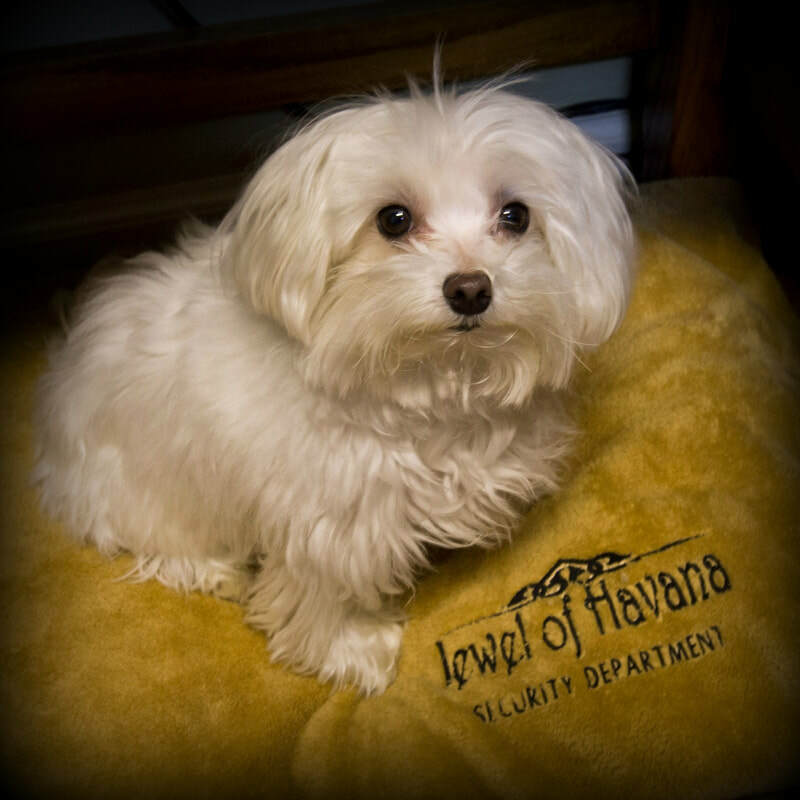 She is the original "Jewel of Havana" and name sake of my company. Mom travels with me to gem and mineral shows and has a keen eye for quality and the most beautiful gemstones. I love her point of view and she still inspires many of the pieces I make today! Jewel of Havana's MVP! Originally from Matanzas, Cuba, my Dad builds my displays, runs inventory lists, and travels with me to art festivals and markets. No one knows more about my work or process. He has become an expert on every gemstone and technique I use to educate and entertain all who visit our booth. What can I say about this amazing and supportive man? HE ROCKS! 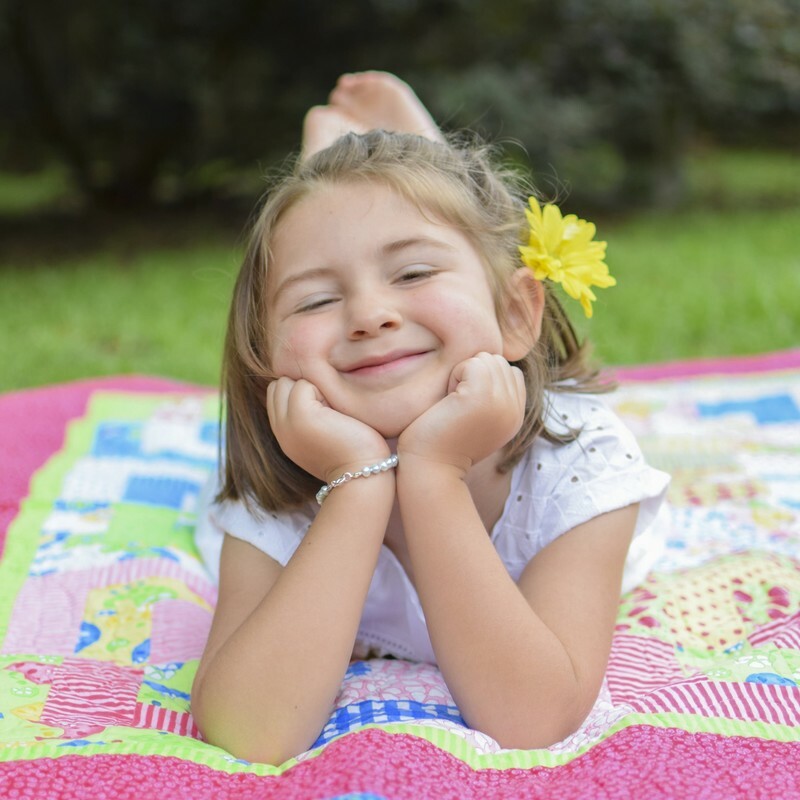 Children's Jewelry Consultant and Super Model, Sophia, has a keen eye for the best in children's fashion and accessories. Originally from Nashville, Tennessee, she is an expert stylist and is not shy about letting me know which designs make the mark. Jewel of Havana is definitely kid tested and approved! Originally from Brooklyn, New York, The Jewel of Havana Security Department sits beneath my bench each day. She takes her job very seriously and alerts to all visitors or possible intruders. No one can sneak up on Jewel of Havana with Sidney on guard! Sidney has a great outlook on life and no jeweler ever had a better pal to hang out with in the studio!! Chief Cook and Bottle Washer! I work long hours in and out of the studio, especially when we are traveling to art festivals and markets. Look what I get when I get home!! 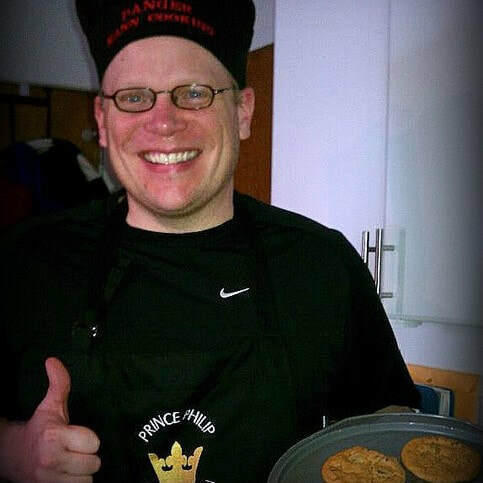 Philip has his own demanding career but he's also a great cook and holds down most kitchen duties in our family. How lucky am I?!! Originally from Birmingham, Alabama he is an avid Alabama fan but I try not to hold that against him. 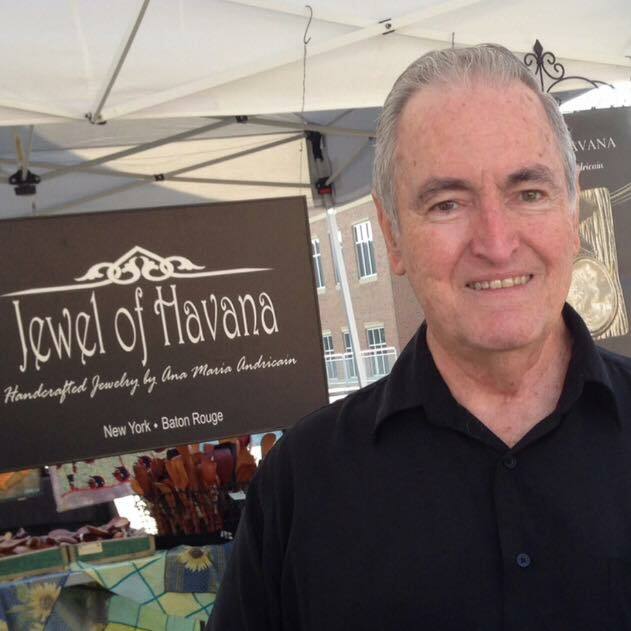 He has a great smile and is the chief chocolate supplier for Jewel of Havana! !